IVINS – Emergency responders in Ivins formed a search party Wednesday for a man in his 70s who had been missing for almost eight hours, only to get called off before they started searching when the man was found dead. The man, a resident of Kayenta, went out for a walk around noon, Santa Clara-Ivins Police Capt. Rich Rodgers said, leaving a note for his wife, who was out with some of their grandkids. That evening, he still hadn’t returned home, and his wife was concerned because he had some medical problems. Initial reports said the man suffered from dementia. 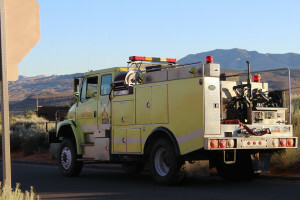 The man’s wife reported her missing husband to the St. George Communications Center, and responders from Ivins Fire and Rescue and the Santa Clara-Ivins Police Department began organizing a search for him. However, a neighbor found the man’s body just as responders were arriving, Rodgers said. 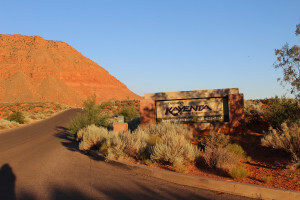 The man was found in an area behind his home in the Kayenta community. The neighbor found him at about 7:45 p.m., and responders went to the scene to start investigating the incident. Rodgers said something like heatstroke or heart attack was suspected as the cause of death, but officers would not know until the medical examiner had examined the body. The man’s name has not yet been released by authorities, pending notification of the death to his family members.